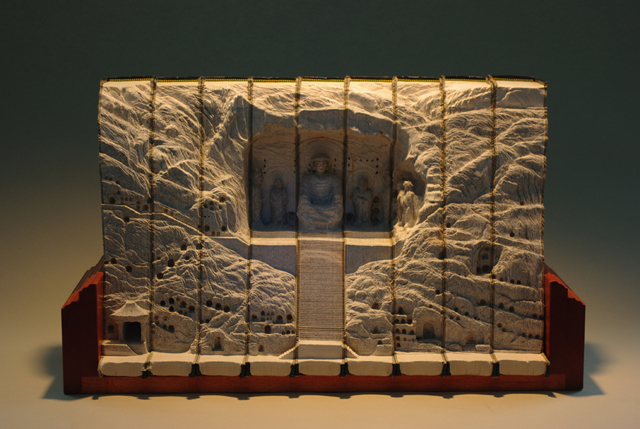 We of course are all familiar with the absolutely stunning book sculptures that Guy Laramee has so meticulously carved in the past, here and here. 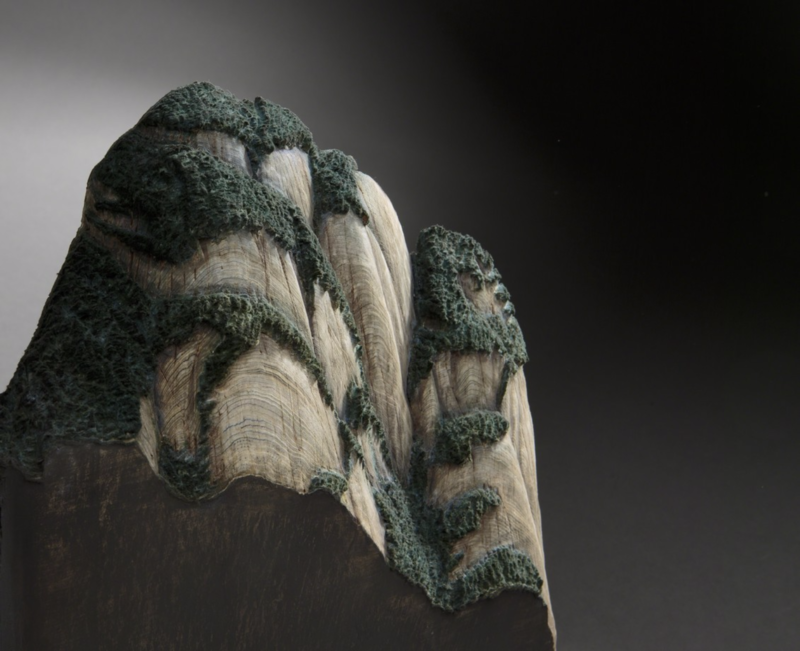 These hyperrealistic, three dimensional landscapes are carved into disused knowledge, recycling discarded books and obsolete encyclopedias that are literally just waiting to be transformed into something wonderful. Laramee is able to do just that with his keen ability to refine each book, or layers of books, and capture the finer details of the valleys, towering mountains, and widespread deserts. His use of inks and pigments subtly amplifies those details, bringing each of these topographic landscapes to life. 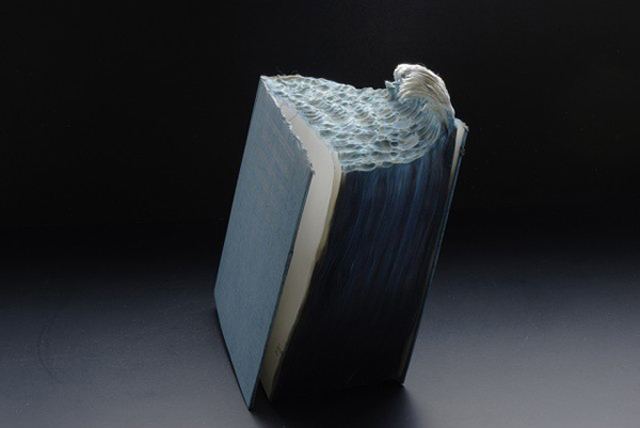 Guy Laramee is back with some new book sculptures that continue to become more and more impressive. If you aren't familiar with Laramee's work, his art reflects that of recent experiences. These books in particular are a culmination of past events that were very deep in his heart and has become a dedication to the mysterious forces thanks to which we can traverse these ordeals. I had the recent pleasure to see some of his work up close, particularly the one shown above which reflects the devastating tsunami that struck Japan, and I have to say it is even more captivating in person. If you happen to be in New York City, please be sure to stop by the Christopher Henry Gallery to see A Cut Above: 12 Paper Masters Exhibition. It is completely stunning! On Thursday, May 10th I had the privilege of attending a amazing paper exhibition at the Christopher Henry Gallery entitled A Cut Above: 12 Paper Masters. This group exhibition, curated by Diana Ewer, is celebrating the renaissance of cut paper as an artistic medium where 12 international artists have been featured, each working in their in particular expertise whether it be a carefully sliced book or an intricately cut piece of paper.